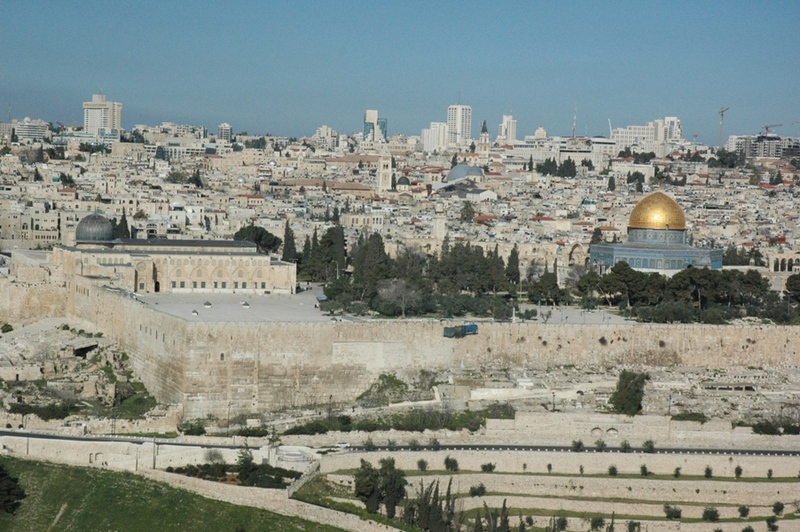 Our first stop on our first morning in Jerusalem was, where else, the Mount of Olives and the world-famous vista: the Old City walls, dating to the 16th century, with the Dome of the Rock (7th century) and Al Aksa mosque (8th century) in the foreground. 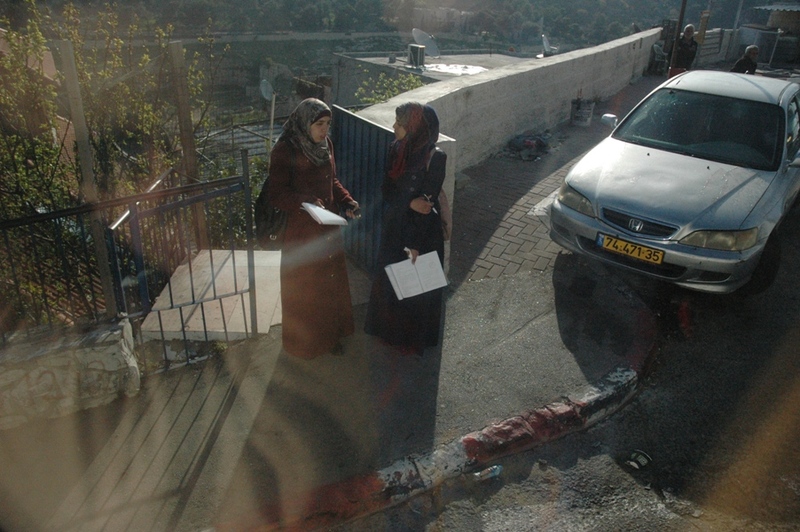 Along the way, driving through the city early in the morning, we see Jerusalem residents going to work, going to school, in various activities from our bus window. As we walked the path down the Mount of Olives to the Garden of Gethsemane, we stopped at the chapel of Dominus Flevit (The Lord wept), with its own iconic view of the Temple Mount. 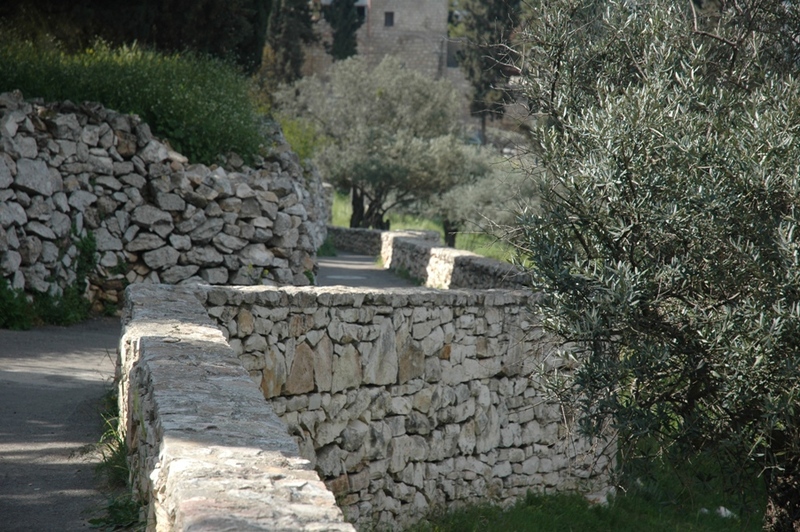 We continued on through several olive groves (it is the Mount of Olives), reading the gospel accounts of Jesus’ triumphal entry into Jerusalem on Palm Sunday, and his betrayal by Judas less than a week later. 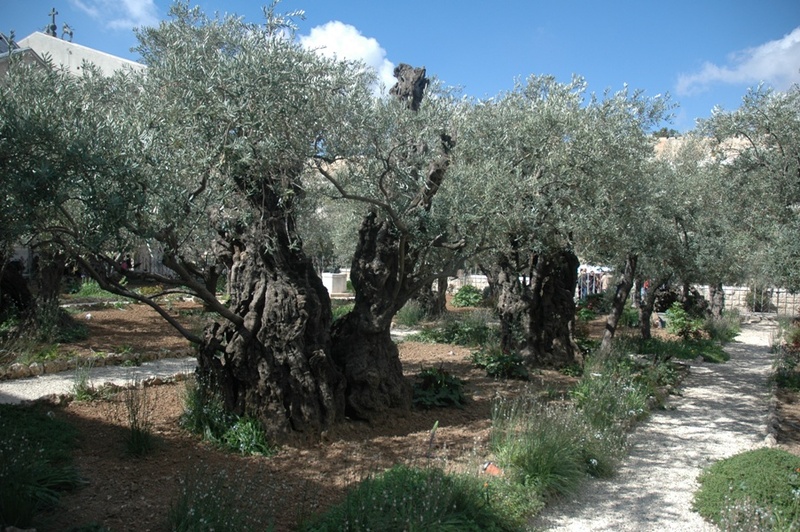 The olive trees in the Garden of Gethsemane are ancient, but probably not quite 2,000 years old. 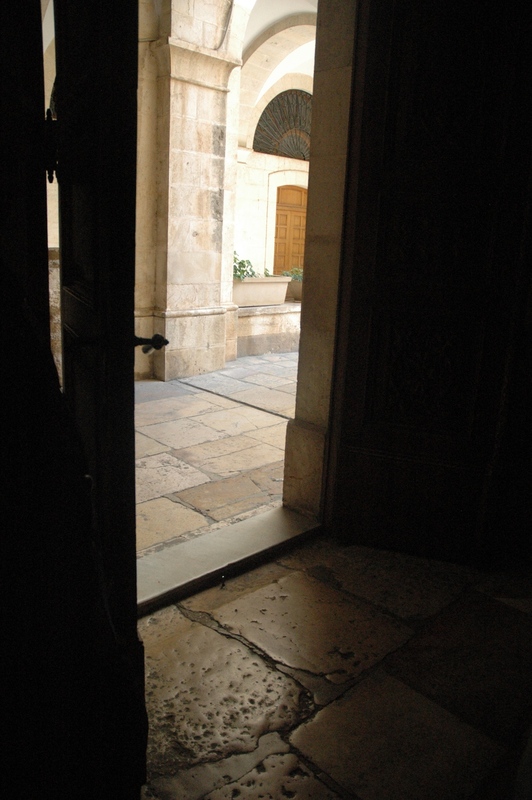 We crossed the Kidron Valley and entered the Old City through the Lion’s Gate. 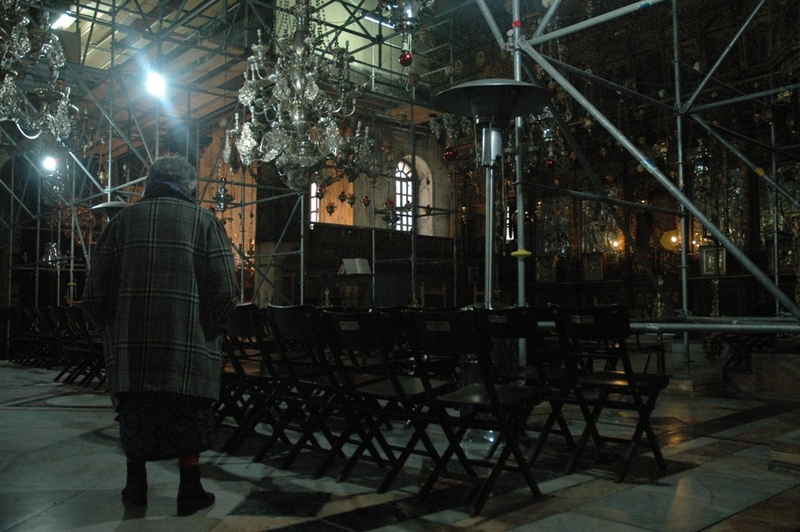 Our first stop is St. Ann’s Church, a Crusader construction with incredible acoustics. 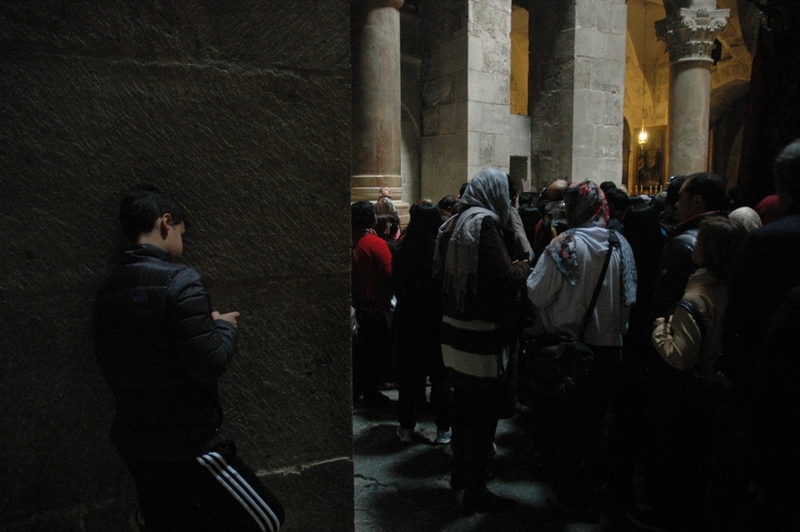 Every group who visits has to sing a song or two. 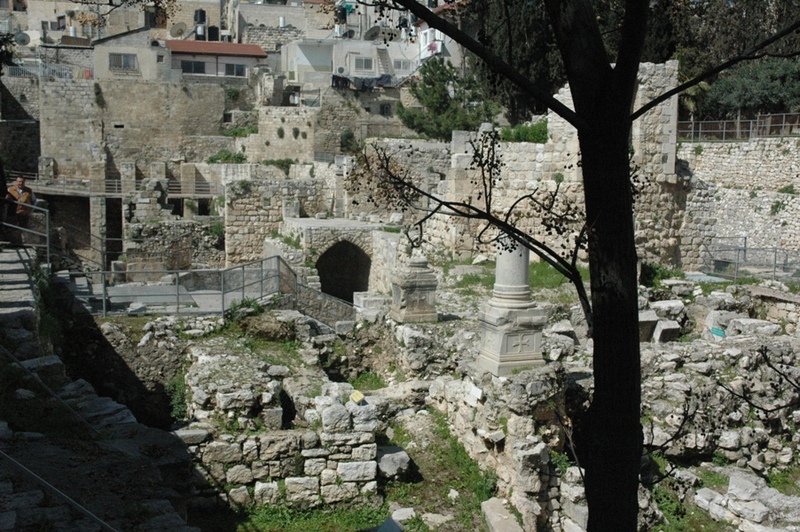 Outside of St. Ann’s Church are the Pools of Bethesda. 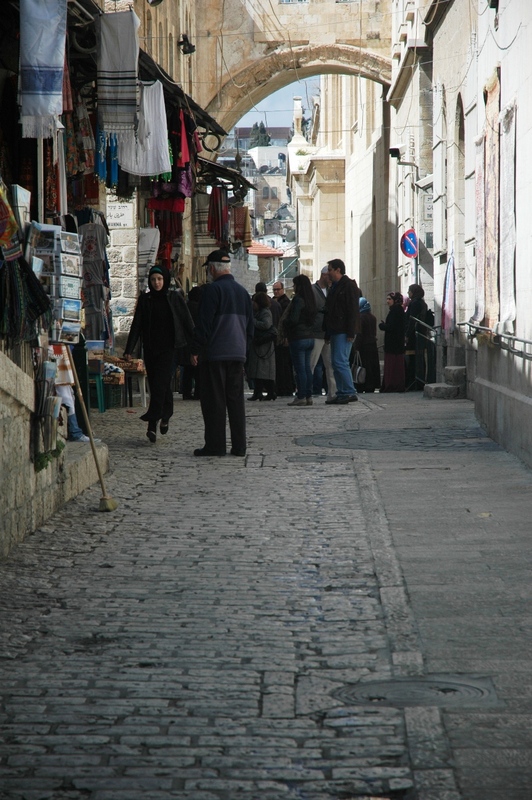 We walked the way of the pilgrims, the Via Dolorosa. 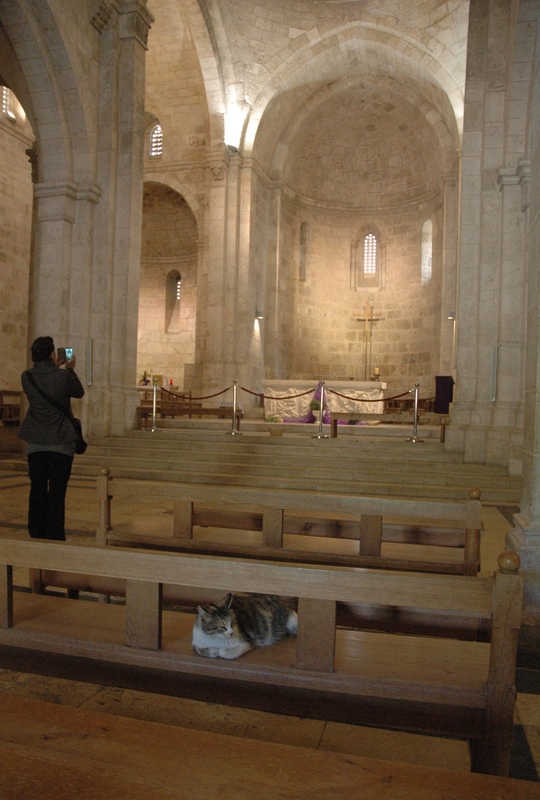 These stones have been trodden by pilgrims for centuries. 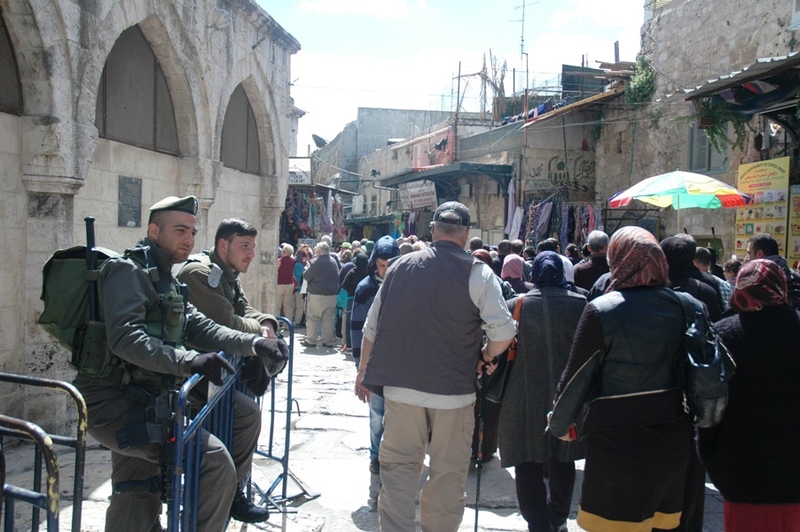 Soldiers are everywhere in Israel, but we never felt threatened or in danger. 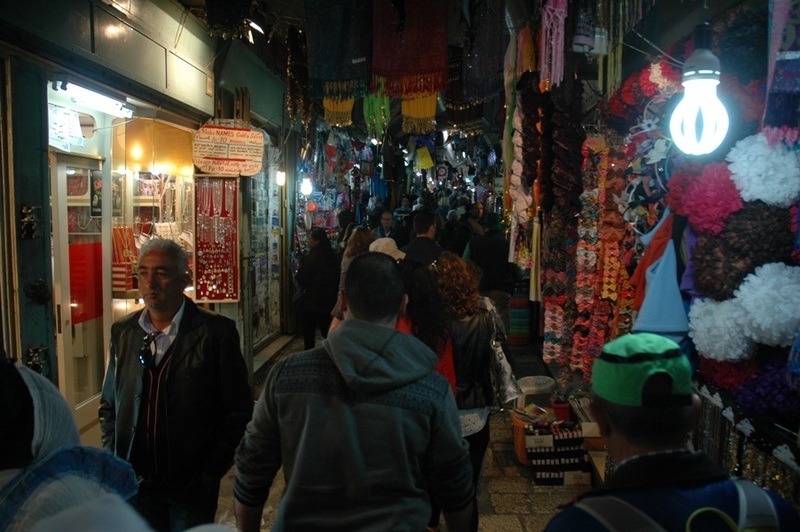 There are lots of opportunities for shopping in The Suq, the markets of the Old City. 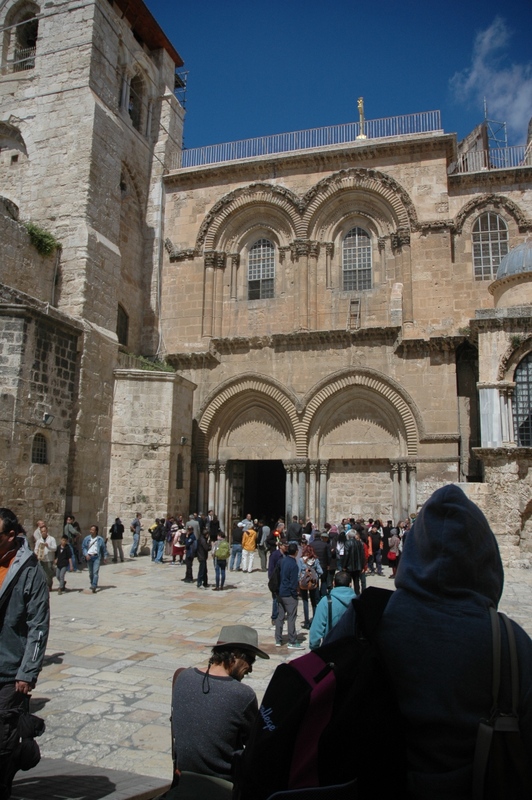 The Church of the Holy Sepulchre is the destination of the pilgrims who walk the Via Dolorosa. 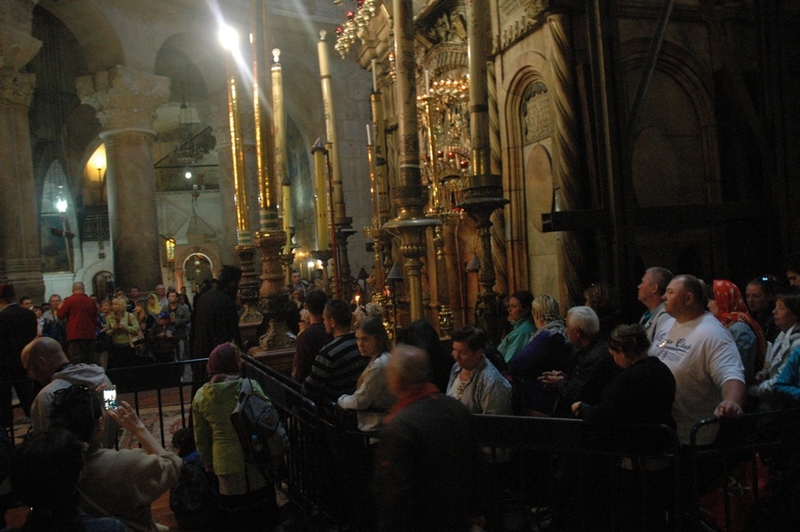 Inside the church there are long lines to get inside of the edicule, which marks the traditional site of Jesus’ tomb. It is a long wait. Perhaps some people who wait are praying. Some are not. 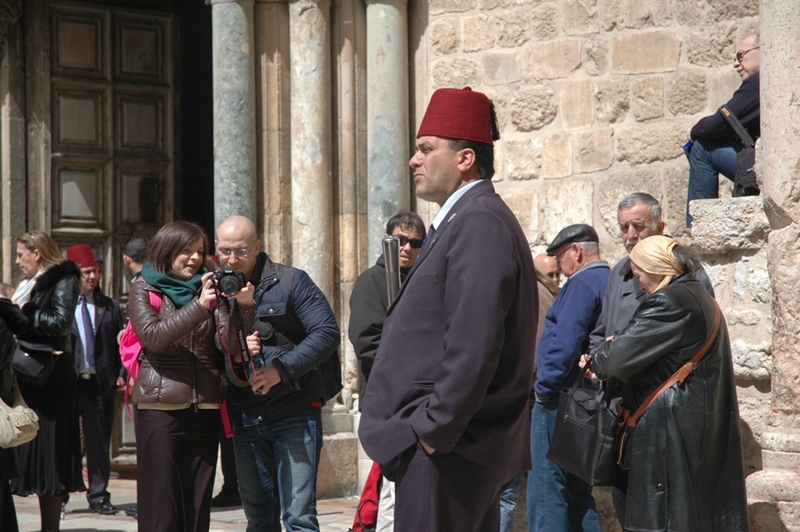 Sitting outside of the Church of the Holy Sepulchre is a good place to watch people, all kinds of people. 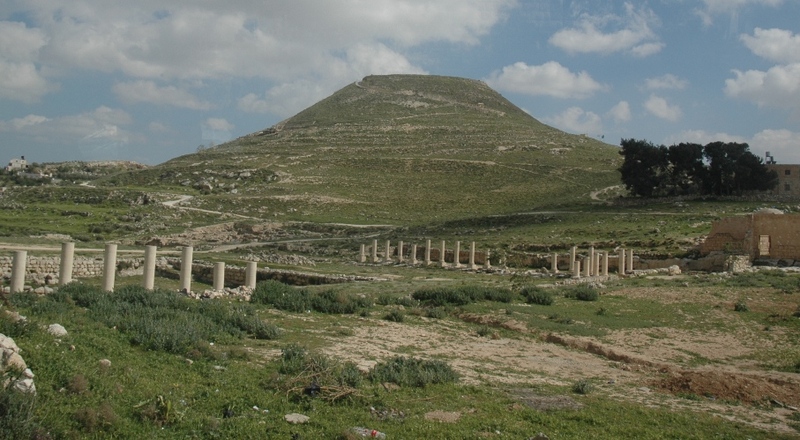 From the Old City we drove out into the wilderness (desert) of Judea to visit another of Herod’s fortress palaces, Herodium. 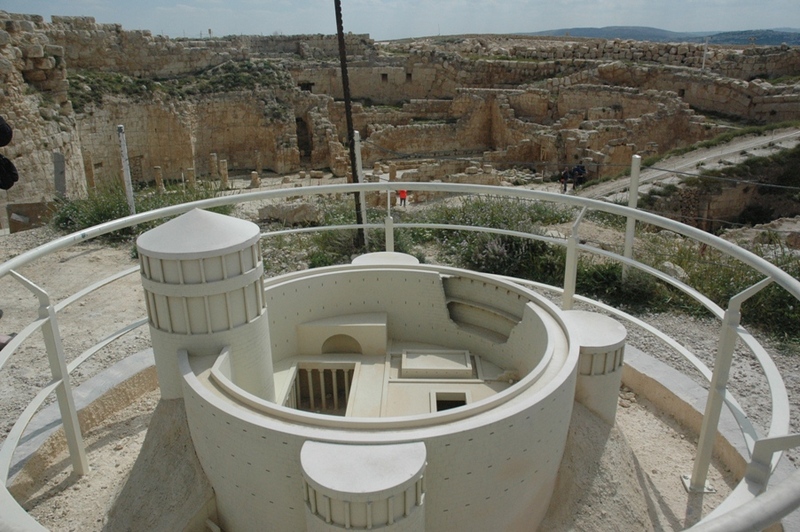 A model shows what Herodium looked like after it was built by Herod. Through a crack in the doorway we got a peek at the monumental entrance to Herodium, discovered just in the past couple of years, and due to open to visitors next year. 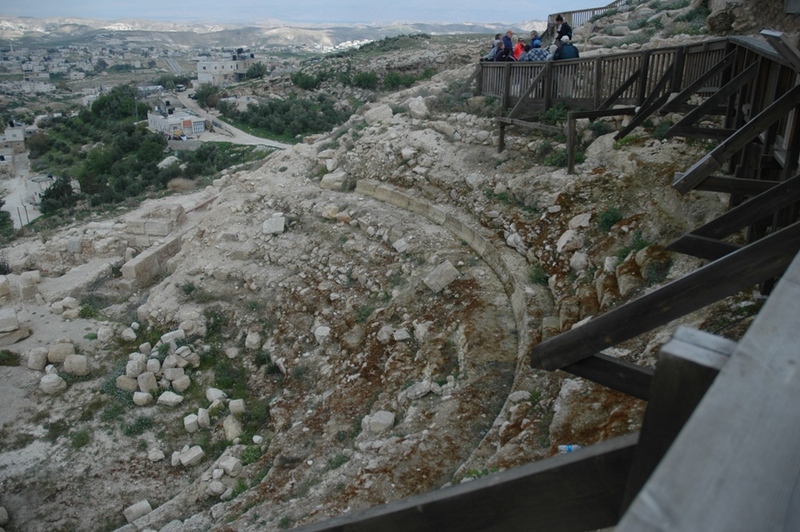 Herod created his own private theater, built into the side of his mountaintop fortress. 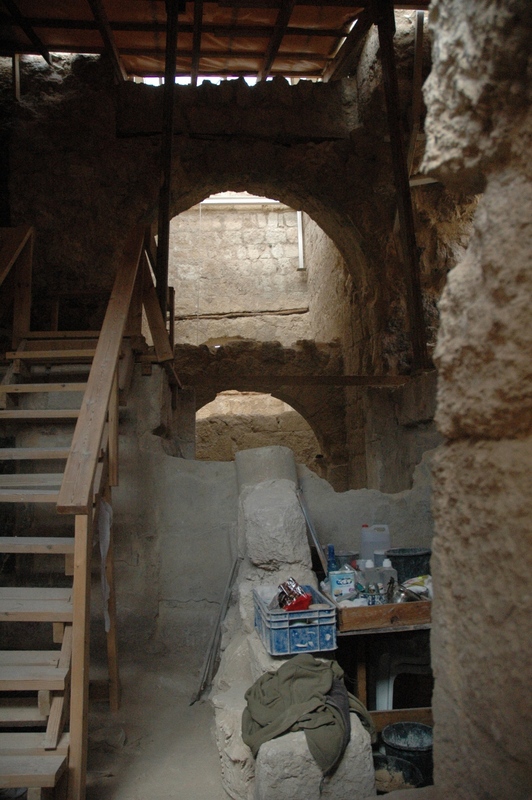 This also is still being excavated and restored. In the distance, a thin ribbon of the Dead Sea. 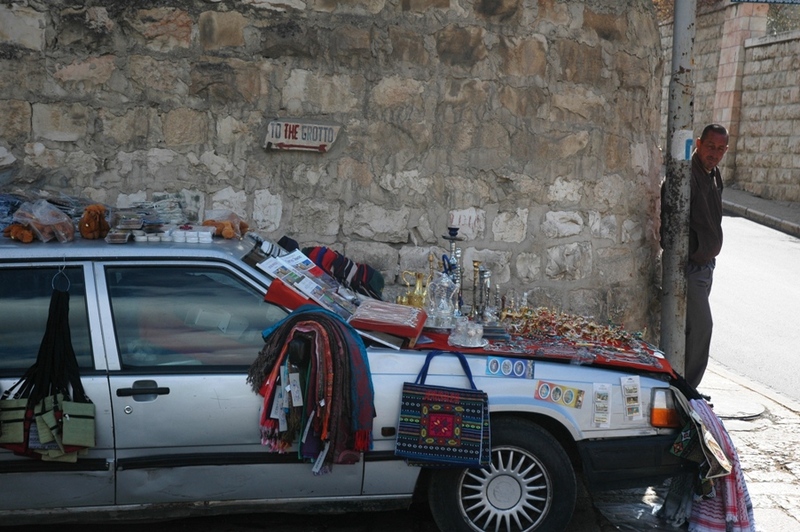 Close by Herodium is Bethlehem, where repairs are being made to the Church of the Nativity. 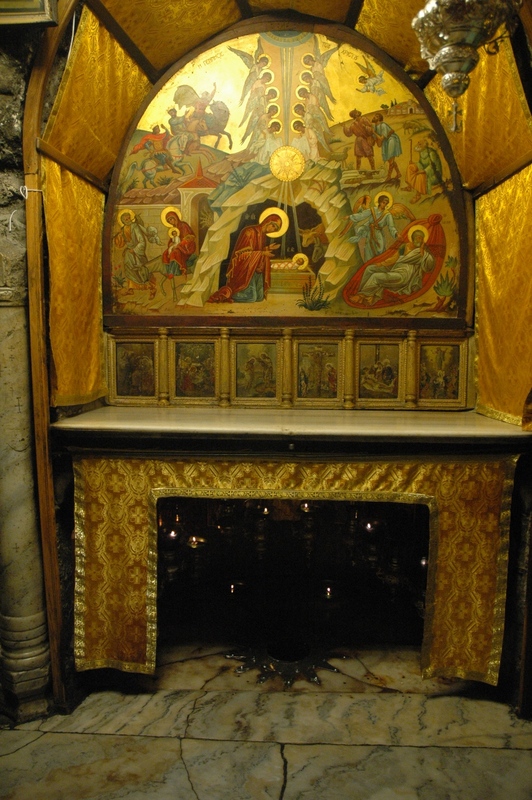 The inlaid star inside the Church marks the traditional location where Jesus was born. 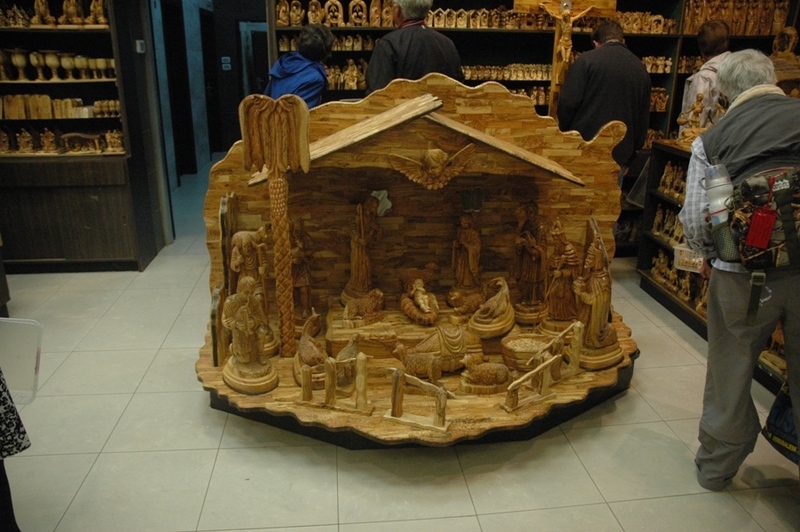 Our last stop of the day, the Nissan Brothers store, where olive wood items of all sizes are created and sold.